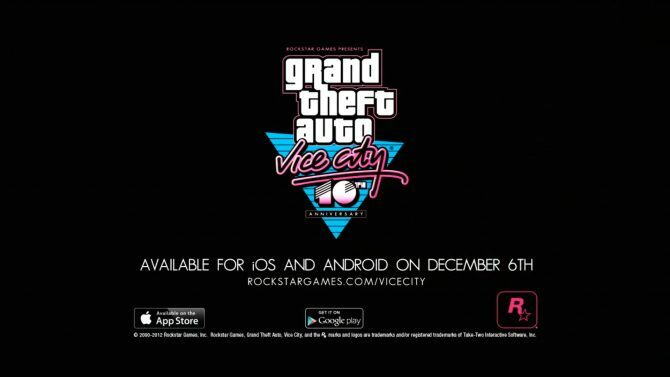 Tuesday, Rockstar continued its celebration of the 10th anniversary of Grand Theft Auto: Vice City with the first of three interactive videos from “The Lab,” a set of interactive tours that were originally a part of a celebration in London’s Design Museum in 2002. Today they’ve released their second video, based on Sound. “Radio Stations”- Tune in to audio from all nine original radio stations from the Vice City radio dial: Fever 105 (soul hosted by Oliver “Ladykiller” Biscuit), Radio Espantoso (latin hosted by Pepe), Emotion 98.3 (ballads hosted by Fernando Martinez), Wave 103 (new wave hosted by Adam First), Wildstyle Pirate Radio (rap hosted by Super Rockin’ Mr. Magic), V-Rock (rock hosted by Lazlow), Flash FM (pop hosted by Toni) and talk stations K-Chat and VCPR. For the seven music stations, you can hear snippet mixes of selected excerpts whilst for the two talk radio stations; “The Lab” contains the complete station audio, streaming online. 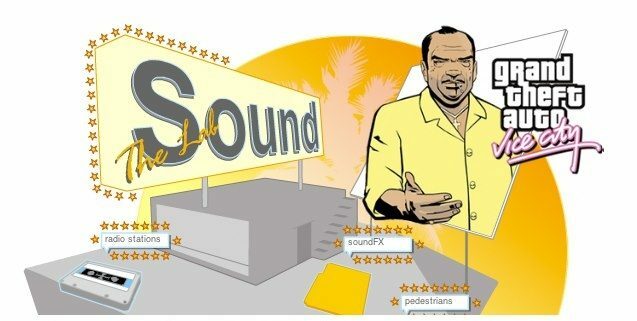 “SoundFX” – A special breakdown of just one small element of Vice City’s sound design: helicopter sound effects. As the section explains, the total amount of space available at the time for sound effects amounted to less than 12 seconds of music from a CD. As a result, all of the sounds created for the city needed to be extremely short. 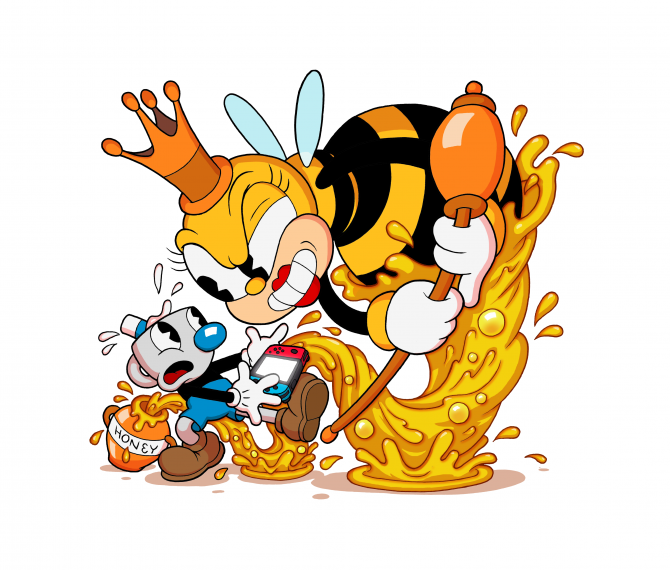 In addition, each sound has to be produced in isolation so that it can be controlled independently based on how the player interacts with the game. 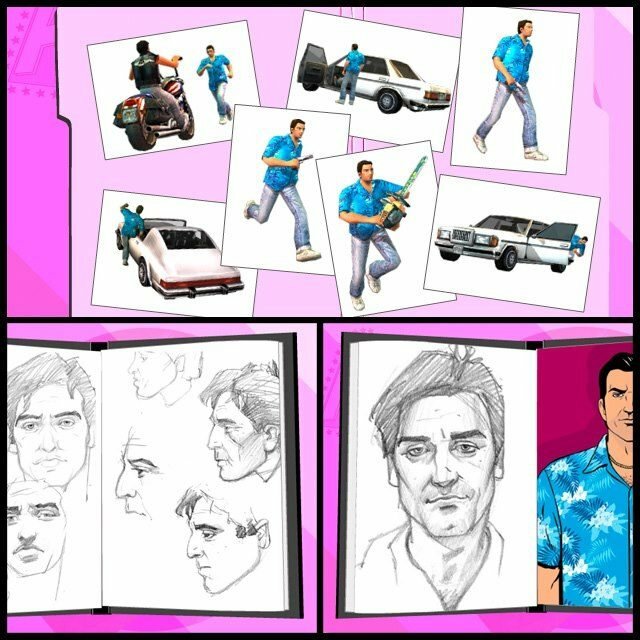 Listen to the various individual sounds used and then check out a video demo of the final product in action as Tommy Vercetti lifts off in the chopper. “Pedestrians”- Wherever you go in the streets of Vice City – from the beach to the shopping mall to the airport – you’re sure to overhear tons of colorful dialogue from the city’s residents. 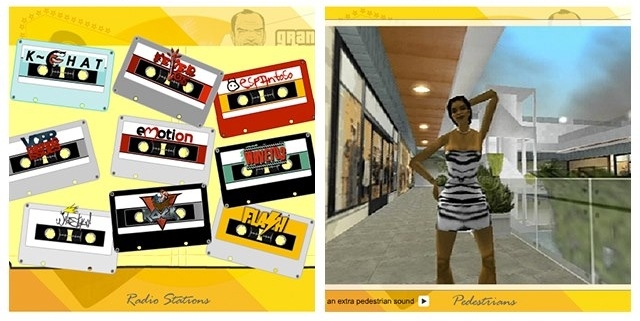 Strutting playboys, lecherous pervs, blue collar slobs, glamorous fly girls, and more – have a look and listen to a sampling of the vast audio recorded in populating Vice City’s ambient world. You can see the interactive experience “The Lab” (Part 1: Sound) at this link. 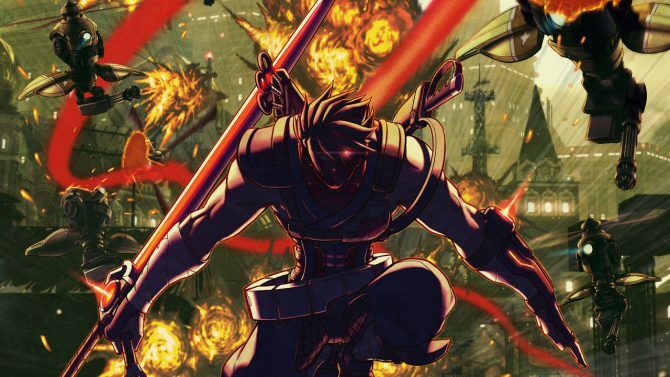 For more news, stay tuned to DualShockers.com.